Colin – 8 months (his first day in glasses!) These are the Fisher-Price Marshmallow brand. 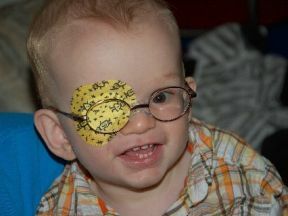 He has severe myopia, amblyopia and a myelinated retinal nerve.